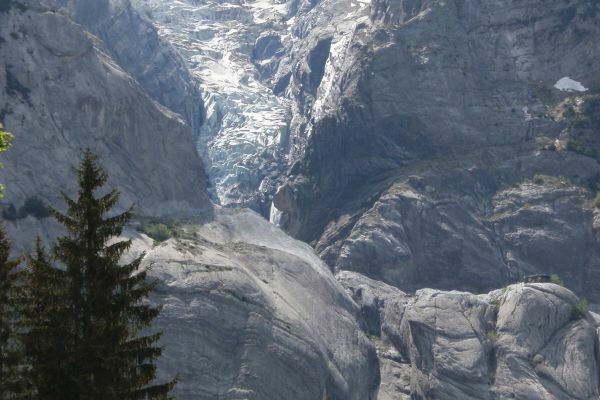 Climate change is happening and the Alps are particularly sensitive to the changes. In the Jungfrau area the first signs are getting visible. 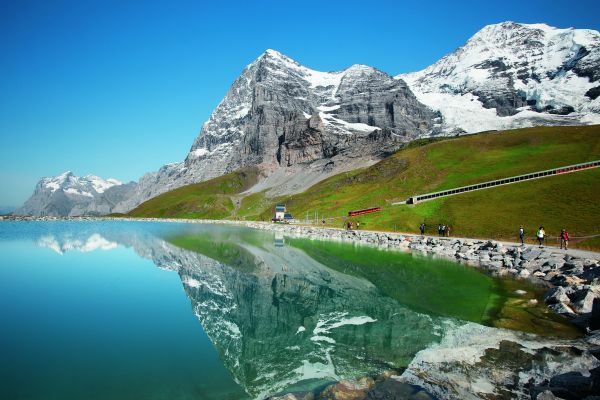 On seven different trails in Grindelwald, Wengen and Mürren you learn interesting facts about the climate change with the multimedia guide on iPhones. There are hardly better places in the Alps to observe the link between climate change and natural hazards than here, high above the Lower Grindelwald glacier. At seven stations you will find out how the spectacular rockfall at the Eiger took place, why the lake created by this event constitutes a threat and how the image of a mountain cottage on the edge got a symbol for the potentially dramatic consequences of climate change in Europe. Attention: return is possible only by foot.